Does the number of followers you get on social media, such as Twitter, Facebook or Instagram influence how your page is placed in the search engines? This is actually not as straight forward as some think. Even though Matt Cutts said this was not so, there is still a lot of indirect activity going on as a result of having many followers. Getting more followers is not necessarily pointless, not even when they are not really liking your stuff or following the links you post. It is not all about engagement – the number of impressions you get is also important. When Matt Cutts answered the question in one of his webmaster videos, he also talked about the difficulty in crawling social media profiles. One problem is that profiles tend to change more frequently, and someone might choose to block certain connections in their network, in which case it would be bad for Google to still show them as being connected in the search results. Nevertheless, there is still a big indirect potential in having large numbers of followers on social media. Let us try to imagine some of those indirect effects, as well as why and how they occur. When we talk about SEO in the context of social media, it might be more useful to think about indirect effects of the various attributes of such sites. Including likes, shares / re-tweets, and the number of followers we got. Obviously, having a large and engaged network on social media, will help raise awareness of your brand in an organic and inexpensive way. The problem is that it is only certain types of pages that will be able to grow, easily, this way – mostly anyway. Some of the biggest pages on Facebook is sharing a lot of viral, humorous content, which people love to share and like. If you share mostly information based content, then you will likely get less likes. On top of this, we have the so called “viral” pages or websites, which mostly share content with “sensational” headlines. These pages will typically also be quite big, because people will often not think twice before sharing content that appeals to their emotions. Sadly, a lot of false claims and fake news also fits nicely into this category – so most serious page owners will likely want to avoid association with such bad practices. Sharing videos and live videos will allow you to reach more of your followers, since such content seem to be receiving a small boost by Facebook. But, also since users tend to like videos more when it comes to certain types of content. As awareness about your brand goes up, you will also get more people talking about your brand online, which is also likely to earn you some backlinks. These things will directly affect SEO of your page. It shows that SEO is not just about things you can do to directly influence your rankings – far from it – it is also about what you can do to indirectly optimize your rankings. Perhaps even more so, since you will cause other people to share your content automatically, and SEO becomes less important, as you will might get traffic from other sources as well. But, your rankings will likely also improve, since people will be linking to your site. Some people see little value in having many followers. However, they might be underestimating the inner workings of social media networks. 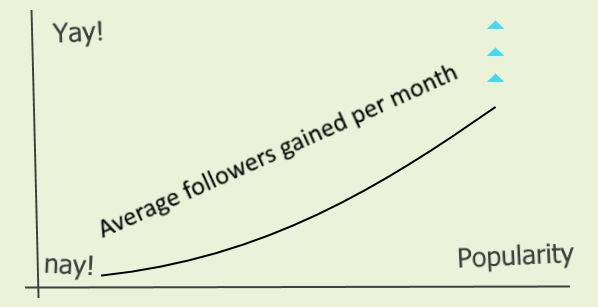 It should take no genius to imagine that having many followers, at least in theory, should increase your potential reach and growth rate. Presumably, the people who follow your page, will also know about your brand. So, in a small way, this might also contribute to increasing your brand awareness. Some of your followers might also choose to visit your page, from time to time. Be it either to view your content, because they know what you are about, or simply to remind themselves why they are following your page. You can almost be sure to receive some traffic from your followers this way, and that is why it is important you have good content on your page – something to grab the attention of your followers. How many followers is too many? There is some speculation that having more followers, which are not engaging with your page by lining posts and resharing, is bad for your overall page performance. This does, however, not make much sense, since there are many large pages, with small user engagement. Some big brands tend to have a huge following, but poor engagement on their page – at least when you compare with the number of people supposedly following them. The point is, it would be unfair if the number of followers would affect a page negatively, because we can not really control how many people will be following our page. On Facebook, your organic reach will also be determined by users liking your content. If a given user likes or re-shares your updates, they are going to be more likely to see more updates from your page in the future. This should work independent of what other people are doing on your page, so the number of “inactive” followers should not matter here. So, while a low engagement might affect you negatively with some of your followers, it should not decrease overall performance. Dedicated fans might also choose to “view first” updates from your page, which will make them see most updates, regardless of their past activity on your page. Since it is generally very easy to manipulate the number of likes and followers of a page on social media sites, it is also a highly unreliable signal for search engines to use when ranking pages. The same could be said for other text links on the internet, which nofollow attempts to deal with. A possible solution could be to only look on “authority” accounts on the sites. That is, accounts that are verified, or otherwise established to be of high quality. However, this is unlikely to be enough, since individual users might still be paid to post advertisements on their accounts, or to like certain posts. Even if search engines were to actively use data from social media in some way, individual pages would be unlikely to suffer any penalties from fake activity, since such can be easily started by a competitor. This is also something Google has mentioned several times when it comes to dubious links. The social media sites themselves seem to care little about fake activity, or they find it very hard to discover and stop automatically. Often accounts might require manual review, and even then, it might not be clear if the followers were brought by the user or gained naturally. Some networks also offer to sell followers (or likes) indirectly through their own promotion system. On Facebook, it is incredibly easy to build a huge page with the right growth oriented targeting of promotions. Therefor, you properly should not worry about negative effects from having inactive followers. But, you may want to be careful about using tools not approved by the social networks themselves, when building your following numbers. While your typical social network does not seem to have any meaningful influence on SEO, Google Plus does. This influence is due to the personalization of search results that takes place for people who have added you in their circles. The impact could potentially be huge, but Google Plus also appears to be one of the hardest social networks to grow your network in. That is, unless your site is in one of the niche categories that uses Google+ actively. Photography is, perhaps, one such niche categories. What tends to happen to peoples search results, is that they get altered based on their activity on Google Plus. In other words, if they follow certain pages or people, they might begin to see more content from those in the SERPS, which will be related to their search terms. At least as long as they stay logged in. Logging out will bring their results back to normal. This, personalization, is not entirely fair, however, as it might not provide the most relevant of results, and in very competitive environments, every spot counts. We already have to compete with ads at the top of the first results, and competing with people’s own personalization on top of this, as well as competitors, might be enough to push our content out of the first page entirely. Alternatively, we can simply choose to join in on the fun. One way to do this, is to add a +1 button to our website, to encourage people share and like via Google Plus.